Lord Mance is giving the UKAEL Annual lecture on the “Composition of the Court of Justice” tonight. It ought to shed some light on the murky world of appointments to the Luxembourg courts, where judges are appointed by the Member States without necessarily having gone through any sort of competition beforehand (though this is not, thankfully, the case here in the UK). Lord Mance sits on the panel set up under the Lisbon Treaty to scrutinise proposed appointments and give its opinion on the candidates’ suitability for office. The establishment of the panel is a welcome development, although many will say it is no substitute for an open competition. In this connection, there have been some interesting developments in Brussels and Luxembourg. 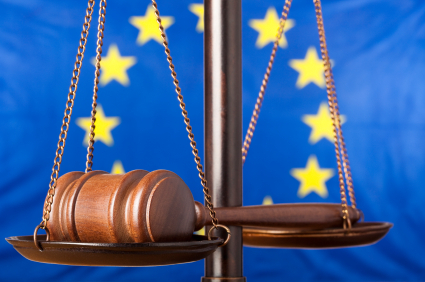 Back in March of this year, the Court of Justice of the European Union (CJEU) presented a proposal to amend in various respects the Court’s Statute. The most interesting proposal was to expand the size of the General Court (GC) from 27 judges to 39. The CJEU is rightly concerned about the length of time it currently takes to process cases – often upwards of 3 years – which risks compromising the right to effective judicial protection (enshrined in Article 47 of the Charter of Fundamental Rights). The backlog has been of concern to practitioners for some time. There are a number of reasons for it, one of which is the increased litigation which has come the GC’s way following the 2 rounds of accession to the EU in the last decade. Urgent action is certainly called for – hence the sensible suggestion to increase the GC’s size. The interesting – and politically charged – question, of course, is how to go about appointing the additional 12 judges. Until now, each Member State has always had one judge in each of the two main courts (the Civil Service Tribunal, set up in 2005 to hear employment cases involving employees of the EU institutions, is much smaller). Should there just be a simple rotation policy? Or should the additional judges be appointed purely on merit? The CJEU’s proposal does not go into this vexed issue. The European Commission has recently given its opinion on the proposal and, in the process, does discuss the selection mechanism. It is broadly supportive. It has suggested 2 possible nomination procedures, one “designed to ensure strict equality between Member States by means of an egalitarian rotating system” and the other “designed to reflect a balance between the objective of ensuring the best possible representation of all national legal systems and the need to respond to the requirements of a General Court which is structured more in terms of specialised chambers for each subject”. The first approach is one based on rotation; the second would involve 6 judges on the basis of suitability for a specialised chamber of the Court (such as an IP or competition law). Each Member State would be able to put forward candidates, with the Member States en gros selecting judges based on the prior opinion of the scrutiny panel on which Lord Mance sits. Most commentators, I would venture to suggest, would prefer the latter: it would represent at least another small step towards a merit-based selection process of judges at EU level. For a similar view, see Alfonso Lamadrid’s post on the Chillin’ Competition blog. This discussion is all based on the legislature (Parliament and Council) agreeing to the Court’s request for more judges. But of course more judges equals significantly more resources: each judge will need legal secretaries (référendaires) and administrative support, all of which is costly. In times of austerity, is that something that politicians are willing to countenance? On both counts – the need for a larger court and the appropriate selection process – let us hope that the politicians are prepared to see beyond the end of their noses. If so, the rule of law in the EU ought to be the winner. This entry was posted in Discussion and Debate, News and tagged Christopher Brown, CJEU by eutopialaw. Bookmark the permalink.